Myths about taking care of bad breath. Bad breath, can be a major problem, one that can directly affect your personal and professional life. The good news is that bad breath can often be prevented with some simple steps. Bad breath is caused by odor-producing bacteria that grow in the mouth. When you don’t brush and floss regularly bacteria accumulate on the bits of food left in your mouth and between your teeth. The sulfur compounds released by these bacteria make your breath smell. Certain foods, especially ones like garlic and onions that contain pungent oils, can contribute to bad breath because the oils are carried to your lungs and out through your mouth. Smoking can also be a cause of bad breath. Myth #1: Mouthwash will make bad breath go away. Mouthwash only gets rid of bad breath temporarily. If you do use mouthwash, look for an antiseptic (kills the germs that cause bad breath) and plaque-reducing one with a seal from the American Dental Association (ADA). When you’re deciding which dental products to toss into your shopping cart, it’s always a good idea to look for those that are accepted by the ADA. Also, ask your dentist for recommendations. Myth #2: As long as you brush your teeth, you shouldn’t have bad breath. The truth is that most people only brush their teeth for 30 to 45 seconds, which just doesn’t cut it. To sufficiently clean all the surfaces of your teeth, you should brush for at least 2 minutes at least twice a day. Remember to brush your tongue, too. 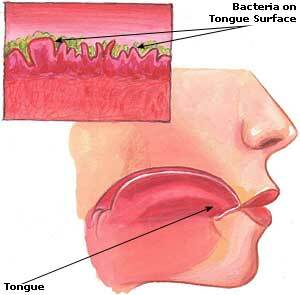 A lot of bacteria actually stay on the surface of your tongue. It’s equally important to floss because brushing alone won’t remove harmful plaque and food particles that become stuck between your teeth and gums. Myth #3: If you breathe into your hand, you’ll know when you have bad breath. Wrong! When you breathe, you don’t use your throat the same way you do when you talk. When you talk, you tend to bring out the odors from the back of your mouth (where bad breath originates), which simply breathing doesn’t do. Also, because we tend to get used to our own smells, it’s hard for a person to tell if he or she has bad breath. If you’re concerned about bad breath, make sure you’re taking care of your teeth and mouth properly. Some sugar-free gums and mints can temporarily mask odors, too. If you brush and floss properly keep up with your regular cleanings, preferably twice a year but occasionally more frequent visits are needed, especially if you have braces. But if your bad breath persists, you may have a medical problem like gum disease. Give us a call to schedule an appointment! 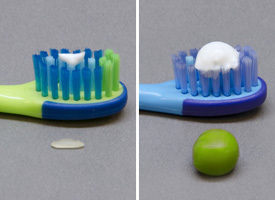 So we figure out if something else is behind your bad breath and help you take care of it. 5 reasons why flossing is extremely important. Unlike a toothbrush, which cleans the tops and outer surfaces of the teeth and gums floss is designed specifically to clean the tight spaces between the teeth and the gap between the base of the teeth and the gums. These are places that a toothbrush can’t reach. And while antimicrobial mouthwash can kill the bacteria that form plaque, it can’t remove the stubborn tartar and bits of food that can lodge in these places. That’s where floss comes in. It’s a tool specifically made to remove plaque from the tight spaces between the teeth and under the gums. The ADA suggests that flossing before you brush also helps make brushing more effective: With less plaque caught between your teeth, the fluoride in toothpaste can get to more parts of your mouth. Think of floss and a toothbrush as a detail paintbrush and paint roller, respectively. You could paint your living room walls with just one of the tools, but using them together will provide a much better result. The places where the gums and teeth meet are where flossing plays its major role. Tiny particles of food can get lodged here, and plaque in this area will harden and over time they form tartar, a thick deposit that only the dentist can remove with a scraper. 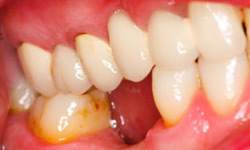 Tartar buildup can lead to gingivitis, red, swollen gums that are the first stage of gum disease. If left unchecked, the bacteria-laden tartar and plaque can spread even deeper below the gum line, causing periodontitis: severe gum disease characterized by severe inflammation and eventual tooth and bone loss. #3 It can save you money! In an era of rising health care costs and diminishing insurance benefits, it pays to take steps to reduce your medical expenses. Dental Preventive care now can pay significant dividends down the road. Also consider the point above, If your general dentists deems that the extent of gum disease would be better treated by a specialist, your coinsurance might be higher at the specialists’ office. Tooth and gum disease can have effects that go far beyond discolored teeth, discomfort or bad breath. Extensive research has shown that the bacteria that flourish in an unhealthy mouth can harm the rest of the body, leading to heart disease, diabetes and respiratory illness. This is such a significant issue that, in 2003, the Centers for Disease Control and Prevention (CDC) began calling for public health initiatives to address oral health as a step toward addressing these potentially life-threatening systemic diseases, conditions that affect multiple organs and body systems. #1 Preventing the build up of tartar, makes your 6 month check up and cleaning a breeze! Few parts of a regular dental visit are as uncomfortable as the scraping the dentist or hygienist must do to remove tartar. Tartar is a hard buildup of plaque that forms around the gum line. Once it’s there, it can’t be removed without professional help. But thanks to floss, health-conscious individuals have a powerful tool to fight this stubborn problem. 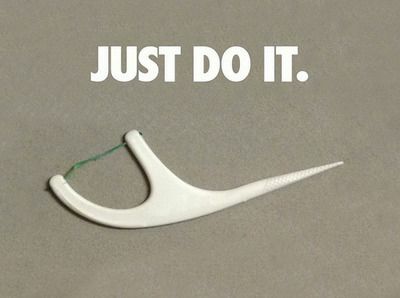 Flossing allows you to remove the plaque that causes tartar while it’s in its early form: sticky, but soft and pliable. Since plaque doesn’t harden into tartar until it’s been undisturbed for a period of time, regular flossing can keep buildup from happening. Oral hygiene is important- and not just for your smile!! Dental cavities and tooth decay is one of the most common medical conditions experienced by Americans and the single most common disease of childhood. Cavities are the result of gradual tooth decay caused by the build-up of plaque and breakdown of protective enamel. Initially cavities are painless, but they open the tooth up to infections, eventually exposure the nerve resulting in pain. The internal structures of the tooth can also be destroyed, ultimately causing the loss of the tooth. While this might not seem important in “baby teeth” as they are going to be lost anyway, infection can cause damage to the growing teeth and subsequent treatments can be painful and expensive. Overall, oral hygiene is an essential component of one’s health. Researchers from the American Heart Association recently shared findings that professional dental care can reduce the risk of heart attack and stroke. Experts tracked 100,000 people for an average of 7 years in Taiwan. They found that those who had their teeth professionally cleaned at least once every two years were 24 percent less likely to have a heart attack and 13 percent less likely to have a stroke. Regular dentist visits and oral hygiene reduces the growth of inflammation-causing bacteria that causes periodontal disease. However, these bacteria can also cause inflammation of the vessels, with studies showing that these bacteria are associated with elevation in C-reactive protein, a marker for blood vessel inflammation. Dental health should begin in childhood as even babies are susceptible to cavities. Most children get their first tooth around 6 or 7 months of age and dental care should begin promptly thereafter with a visit to the dentist, as well as, regular tooth brushing. One major risk for early childhood cavities is consumption of sugary liquids, particularly allowing your child to fall asleep with a bottle of juice or milk. The extended contact with sugar increases the rate of tooth decay. Avoiding sticky foods and frequent snacks are other strategies to ward off cavities. Instilling these routines in childhood promotes their continuation into adult life and with more studies showing broad health benefits from dental hygiene it is essential. So don’t forget to schedule your six month check up and cleaning! Call our office today for an appointment. Your child’s baby teeth are at risk for decay as soon as they first appear, which is typically around age 6 months. Tooth decay in infants and toddlers is often referred to as Baby Bottle Tooth Decay. It most often occurs in the upper front teeth, but other teeth may also be affected. In some cases, infants and toddlers experience decay so severe that their teeth cannot be saved and need to be removed. The good news is that tooth decay is preventable! Most children have a full set of 20 primary teeth by the time they are 3-years-old. As your child grows, their jaws also grow, making room for their permanent teeth. •Begin cleaning your baby’s mouth during the first few days after birth by wiping the gums with a clean, moist gauze pad or washcloth. As soon as teeth appear, decay can occur. A baby’s front four teeth usually push through the gums at about 6 months of age, although some children don’t have their first tooth until 12 or 14 months. •For children younger than 3 years, caregivers should begin brushing children’s teeth as soon as they begin to come into the mouth by using fluoride toothpaste in an amount no more than a smear or the size of a grain of rice. Brush teeth thoroughly twice per day (morning and night) or as directed by a dentist or physician. Supervise children’s brushing to ensure that they use of the appropriate amount of toothpaste. •For children 3 to 6 years of age, caregivers should dispense no more than a pea-sized amount of fluoride toothpaste. Brush teeth thoroughly twice per day (morning and night) or as directed by a dentist or physician. Supervise children’s brushing to minimize swallowing of toothpaste. •Until you’re comfortable that your child can brush on his or her own, continue to brush your child’s teeth twice a day with a child-size toothbrush and a pea-sized amount of fluoride toothpaste. When your child has two teeth that touch, you should begin flossing their teeth daily. As soon as your child’s first tooth appears, it’s time to schedule a dental visit. Don’t wait for them to start school or until there’s an emergency. Get your child comfortable today with good mouth healthy habits. Although the first visit is mainly for the dentist to examine your child’s mouth and to check growth and development, it’s also about your child being comfortable. •Consider making a morning appointment when children tend to be rested and cooperative. •Keep any anxiety or concerns you have to yourself. Children can pick up on your emotions, so emphasize the positive. •Never use a dental visit as a punishment or threat. •Talk with your child about visiting the dentist. •Inspect for oral injuries, cavities or other problems. •Let you know if your child is at risk of developing tooth decay. •Clean your child’s teeth and provide tips for daily care. •Discuss teething, pacifier use, or finger/thumbsucking habits. •Discuss treatment, if needed, and schedule the next check-up. At DentAlign Studio we are dedicated to provide community-based high quality comprehensive dental care services. Our specialty and driving focus is to transform smiles one patient at a time and to make the process as easy and enjoyable as possible. We aim to provide superior service and individualized care for each patient in a family- like atmosphere that is caring, friendly and fun. Our team’s commitment to building a lasting relationship as well providing each individual patient a truly outstanding experience is our goal. Exceptional orthodontic and restorative treatment outcomes fulfill our goals of enhancing self-esteem, self-confidence and overall dental health. We want you to love your smile and allow us the privilege of transforming your smile and your life.